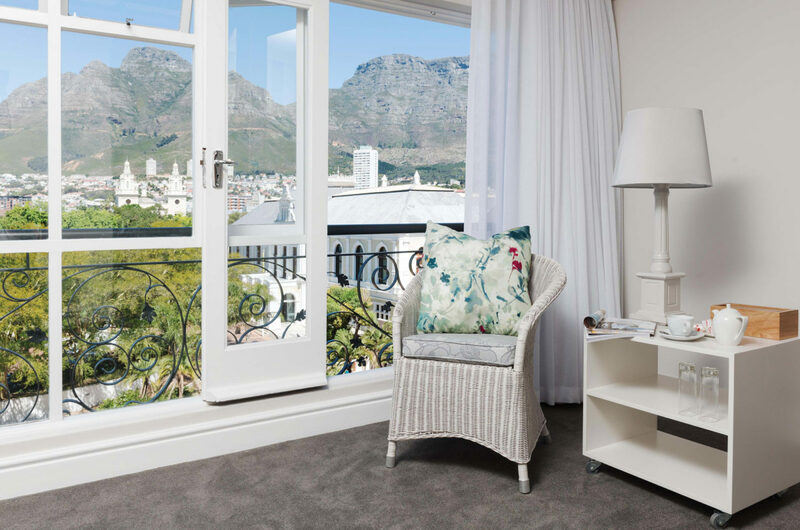 Located in the shadow of Table Mountain, Cape Town Hollow offers modern, tranquil accommodation in the heart of the Mother City. 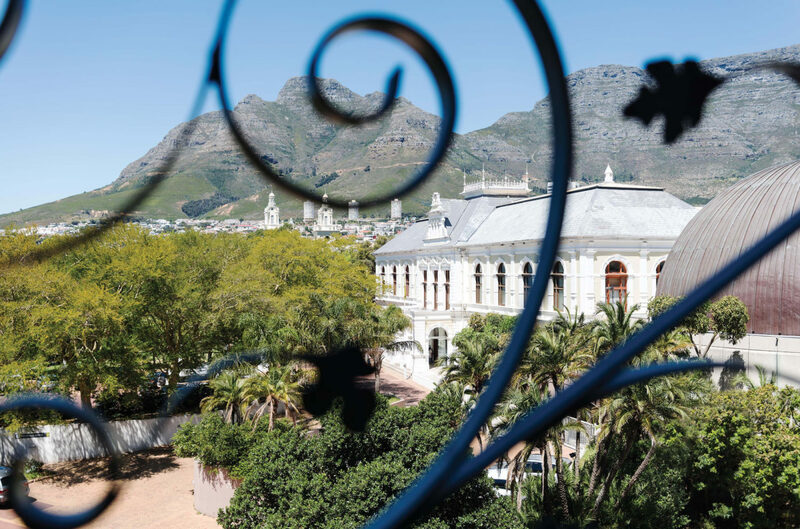 The hotel boasts lovely views of the Dutch East India Company’s Gardens, Lion’s Head and Devil’s Peak from mountain and city-facing rooms. 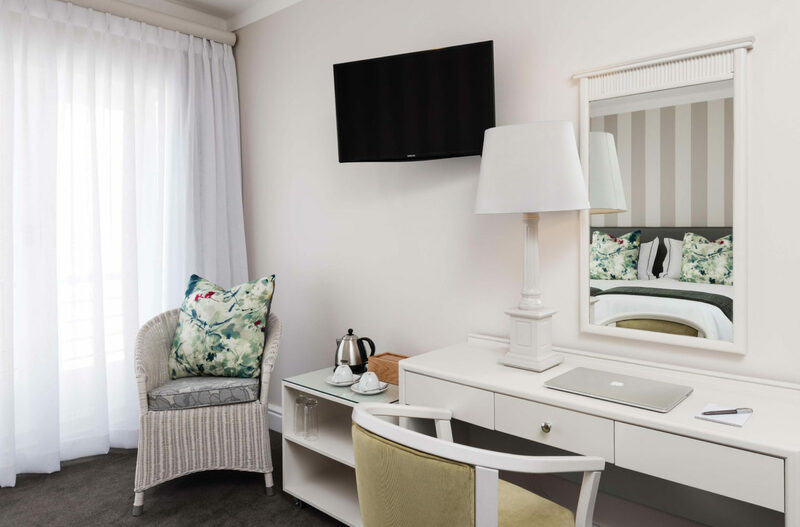 Our central location makes Cape Town Hollow an ideal choice when considering where to stay in Cape Town South Africa, for both business and leisure travellers to the city. Cape Town Hollow’s accommodation is made up of 56 rooms – 28 Mountain Facing Rooms and 28 Standard Rooms. All the rooms feature en-suite bathrooms and modern amenities, including individually controlled air-conditioners, satellite TV, tea and coffee making facilities and complimentary Wi-Fi. Our rates include a full English buffet-style breakfast, served in the morning at Eighty-Ate Restaurant. The restaurant offers indoor or outdoor dining options and the cuisine can be tailored to those with special dietary requirements. Guests can also look forward to relaxing beside the sparkling pool located on the first floor of the hotel. For families travelling with little ones, we have cots available on request, keeping them safe and snug for the duration of your stay. We also have a qualified doctor on call and available to you 24-hours a day for any medical emergencies. 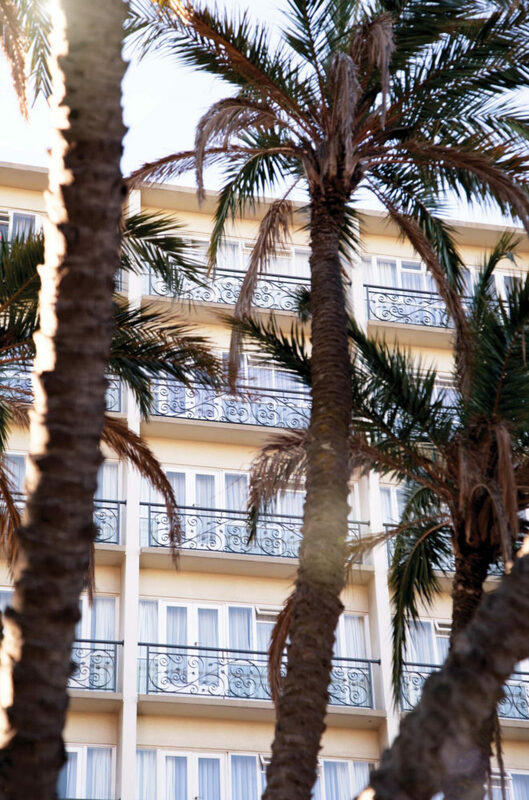 The hotel comprises 28 Mountain Facing Rooms that feature scenic views of Table Mountain from charming Juliet balconies. 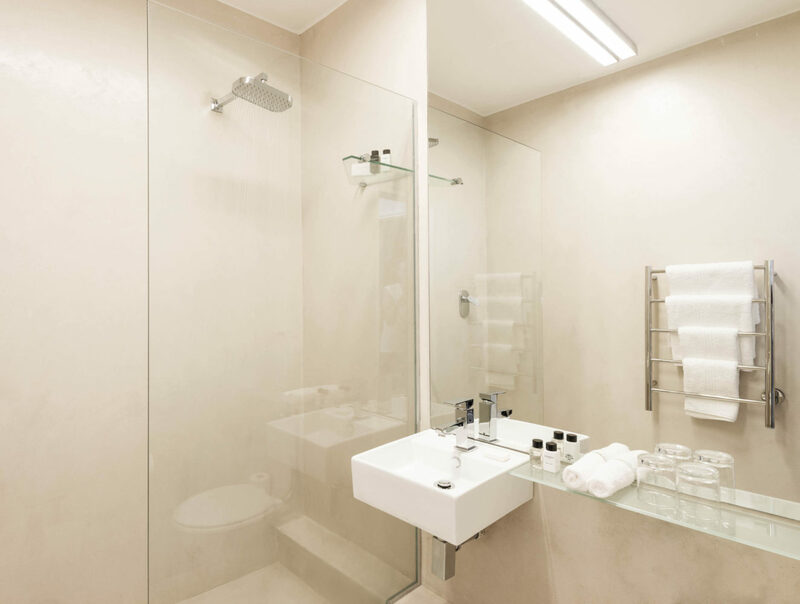 The interiors are light and modern with en-suite bathrooms. The rooms can be configured with king-sized or twin beds to suit your preferences. 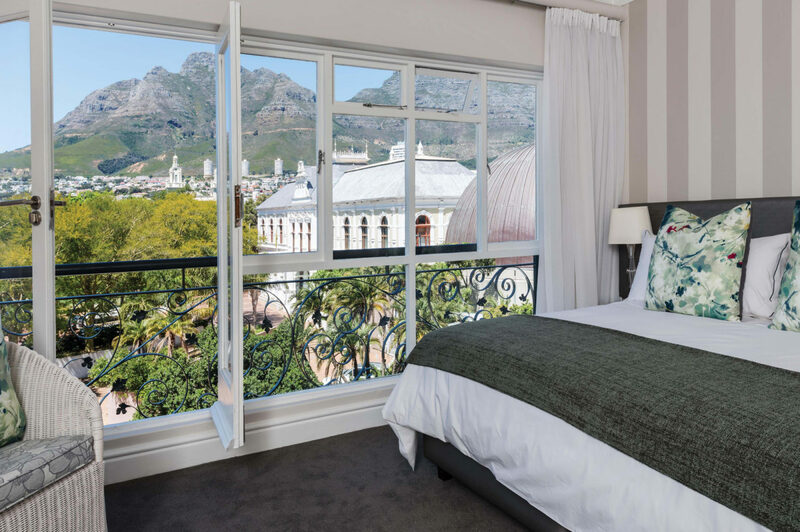 The 28 Standard Rooms overlook the city of Cape Town. Although these rooms do not have mountain views, they are comfortable and well equipped for an enjoyable stay. Each also has an en-suite bathroom with walk-in shower, air-conditioning, tea and coffee facilities and complimentary Wi-Fi. Cape Town Hollow Hotel has an excellent location and our room had an amazing view of Table Mountain! The front desk staff was always friendly, wonderful, and helpful in accommodating our requests.